My content was not well organized, my visitors don't feel l was serious. The product helped fix my content, selecting a specific content item to display in a particular location on my website. The software is one of a million! I have to say, I highly recommend the product, on the other hand, the speed or the rate the tool works is a bit confuse, especially for a beginner. Other than that, the product is awesome. I required changing my content that wasn’t well organized. This tool helped me making it easier for my guests to find my page in the most appropriate manner. It actually increases the procedure speeds and adds editing. The product does things that I am not expecting. It is really a wonderful tool. I highly recommend it to anyone who want the best quality product that can resolve or lessen your hassles once and for all. "BrightInfo has helped me enormously. I haven't seen such a wonderful product like this one!" The BrightInfo product has no difficulty while installing or configuring it. Once you apply, with a few clicks, you would observe the massive benefits it offers. I am grateful to the developers of this unforgettable product, quite easy to use. The product works extremely well in everything, a few clicks would give tremendous and instant results. Really, I have nothing to worry about this product, it's simply fantastic and the price worth it. My website was very slow and after few weeks, it was blocked due to the excess crowds clicking periodically to fill in forms for their activities. This got very worrisome because it happened at the peak when the site mostly needed to run series of applications. A friend recommended BrightInfo to me, and the minute I installed it and made a few clicks, the issue was automatically resolved. Even the product went as far to increase the registrations and work excellently for an event and Live Webinars; it also helped to create Pattern-Based Page Filter Rules in just 3 minutes. This tool also showed me how to pin the specific content item to display in a particular location on the site and serving relevant content to each visitor at suitable points within the natural browsing flow. Every entrepreneur must own this tool. "Found the perfect Software at last!" Absolutely, there is nothing hateful about this software. Everything about it is superb. Since I purchased it, I used to wonder, how was this extraordinary tool invented? Immediately I install it, my site flowing and activities increased by about 130% rate. Absolutely nothing! Everything runs well. Before I set out toward this product, I was having series of breakdowns of my site. To the degree that I need to take a large portion of my design jobs somewhere else to perform them. This happened regularly and that made me lose numerous clients. I expressed gratitude toward "Skimmy" who recommended BrightInfo to me. To be perfectly honest, I have accomplished a ton since I hosted this astonishing tool. This item had made every one of my clients to return in light of the fact that the product has enhanced my site to an awesome degree. Everything is working amazingly wonderful. I offer praise to the designers and will likewise recommend this item to my companions. 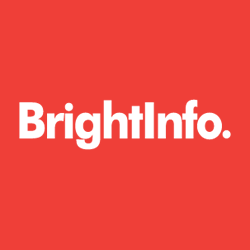 "Great results thus far and more to come..."
BrightInfo is a great product to assist our team in serving up relevant content to our website visitors. The ramp up time for a new user is very short and you can begin seeing results almost immediately. Our support contact has been great at making sure we are optimizing t our fullest abilities and keeping us informed on areas we might want to focus. The team at BrightInfo seems to understand they also have room to grow and are introducing new features that are very relevant to the end user. Keep up the good work! "BrightInfo is an impressive tools! No hassle for installation." The tool works in multiple ways and it is very fast, it doesn't consume time. There is nothing to say it's bad, obviously, I have been using the product for roughly 3 months now without complaint. Everything about this product is just fine. While using the tool for our Account Based Marketing our website pages were popping up with countless unwanted ads without seizing, making it exceptionally hard to experience pages or having issue exploring, as this may take around 15-20 minutes before we can get the subsequent page. However, BrightInfo resolved the issue completely; the tool went far and beyond, digging deep into finding the remedies. It is roughly 3 months and everything is working very fine. I recommend this tool to site owners that would want their websites in up and doing. We tried brightinfo for several months, all the while tweaking its configuration to achieve some level of lead generation. After 4 months, we saw no effective increase in either engagement or lead generation. We also had dozens of customer complaints about the popups. We approached Brightinfo to get out of our contract, but were denied even after providing over half a dozen compelling examples of how the product was not a good fit for us. Brightinfo would rather us remain paying the contract than walking away on good terms in a "it just didn't work" opt-out scenario that would have shown both the degree they believe in their product and care about their customers. As such, we're paying for a piece of software we do not use. Beware and make sure to pay attention to your trial dates. Product failed to deliver on lead generation or increased engagement. Customers disliked the constant popups and wonkiness on mobile resolutions. No measurable sign of performing any "intelligent" content surfacing to defined user personas. Beware claims of increased engagement and lead generation. Pay attention to the exact data points, not just high level results. Lead generation based on surfacing "intelligently matched" content to defined personas. "Want to connect with your visitor in a more personal way? Look no further than BrightInfo"
Brightinfo is an easy and straight forward way to engage you anonymous visitor in a more organic and natural way. the CRO and Ads platform are simple amazing. No complaints so far. Been using the program for more than 6 months and the results have been great! If you need better leads and covert more traffic, this is the best option online. I needed more and more qualified leads. Not only does this tool help me covert my onsite leads, the ad platform helped me have a much higher ROU through my paid efforts as well. "Careful to not make your site spammy"
The scroll widget is great. If a user shows interest by reading your content to a certain percentage, then they are presented with a custom piece of content that is suggested for the page they are viewing. If you aren't careful and you use too many of their functionalities, your site will become a spamtopia of pop-ups and overlays. Especially with google starting to penalize pop-ups, I would be wary of spending your money here. We need more conversions and time on site. Their app allows users to find more relevant content on your site and. "Awesome product that helps in many directions"
It takes just few minutes to install and fix any problem. Once install, next is to go! The tool makes it easier for browsing. The excess speed is not the best for a beginner, though with little time, one becomes used to it. I can't look on my website page, as it would seize naturally. Truth be told, the change rate on my site was troubling, navigating from page to page was unyielding. At this moment, the apparatus had altered the issues. The minute I introduced it, it began getting out the troubleshootings and did the important repairs. Everything thing is working to a great degree well on account of this superb item. "Increase website content interaction with this platform." More web visitors say on the site longer, reading more content than before. This was initially set-up with too much pop-up activity, not optimized for a B2B. Once we scaled it back, it was less invasive but also promoted quality content. Improve bounce rate, improve conversion rate, promote content that answers visitors questions. "This is an Outstanding Product!" The application does more than expectation. It works thoroughly to fix all problems. For now I have not found any error about this product, and hoping they keep on to the good work. The creature not only solved my web content, it extended deeply into fixing the slowing-down. I had issues about sluggish in application uploads and downloads, the tool helped me rearranged my website. Since then, my site has been serving more better than it was. The tool is extremely great. I like that it's able to predict what content is right for you based on your web browsing history. The content it chooses for me on our website is usually pretty accurate. Sometimes it's hard to get the pop up to go away if you don't need to move on to the next piece of content right that moment. Keep measuring your results so you can make changes accurately. We're seeing longer time onsite with BrightInfo since it's basically serving up the next relevant page for you. "One of out top marketing tools"
BrighInfo allows us to maximize our investment in Marketing by generating more leads out of our existing marketing efforts across all channels. Not much to dislike... it works, it's easy to implement. I would make the banner exits easier to design w/o external help. * We monitor all BrightInfo reviews to prevent fraudulent reviews and keep review quality high. We do not post reviews by company employees or direct competitors. Validated reviews require the user to submit a screenshot of the product containing their user ID, in order to verify a user is an actual user of the product. Hi there! Are you looking to implement a solution like BrightInfo?